I received a gift two weeks ago that is rare indeed. In my posting on Dec 17, 2011, I introduced J.D., who is my second cousin once removed. I never even knew she existed until Nov of 2011. During our first telephone conversation a few days after Thanksgiving, J.D. mentioned that her mother had left her a trunk with photos of John Kreis (her great grandfather and my great great grandfather) and his son, Henry Kreis (her grandfather and my great grandfather), and John’s citizenship papers! Since that November day, I have been working on building a relationship with J.D., hoping that she would sometime be willing to share these documents with me. I had at least three obstacles to overcome. First, J.D. lives in New Jersey and I am in Georgia. This distance prevented any “let’s meet for lunch” invitations. Second, J.D. has lived happily for 80+ years with no knowledge of me or the family her great grandfather John Kreis established with his first wife in Chicago, twenty years before he started a new life in New Jersey. I was a stranger on the other side of the telephone and maybe not a welcome one. All of us build relationships in our lives – at work, at places of worship, at clubs, etc. It’s easier to “make friends” face-to-face than over the telephone lines or through letters. But anyone who has had a pen pal can testify that strong friendships can be built with people all over the world. Of course, in the 21st century technology can really help in starting and developing long distance relationships. My third challenge with J.D. was that she doesn’t use computers. I wrote my first letter to J.D. in early December 2011. 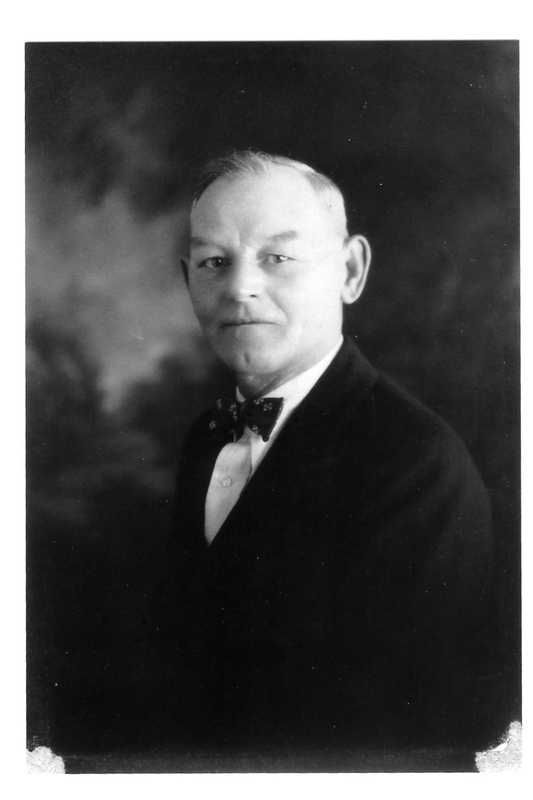 I decided that my strategy would be to share all the documents that I have collected about our ancestors, John and Henry Kreis and their families. But I wouldn’t ask for anything back. I wanted to be clear that I wanted to share my information and to take time for us to get to know each other. After waiting two weeks to be sure that J.D. had received my letter, I called. But it took several attempts before I reached her. And then she was leaving for a medical appointment so we couldn’t chat for long. Over the next few weeks, I would call and get an answering machine. I left a couple of messages. Then I began to be worried. I didn’t want to be a pest. But I couldn’t expect J.D. to return my calls as it would be a long distance charge. So I was in a dilemma. I decided that all I could do was send another friendly letter with some more documents. I did this and the same routine started all over again. I was in a quandary. Was J.D. interested? Or was I just a bother? I thought that I would try one more letter with the last information that I had to offer. Right after I sent the third letter, I received the wonderful package from J.D. and a personal letter. She had been ill, had lots of company and was sorry to have taken so long to respond. She had gone to the trouble of having someone make beautiful copies of several photos. No one from the Chicago, IL family of Henry Kreis has seen pictures of John or Henry in two generations! 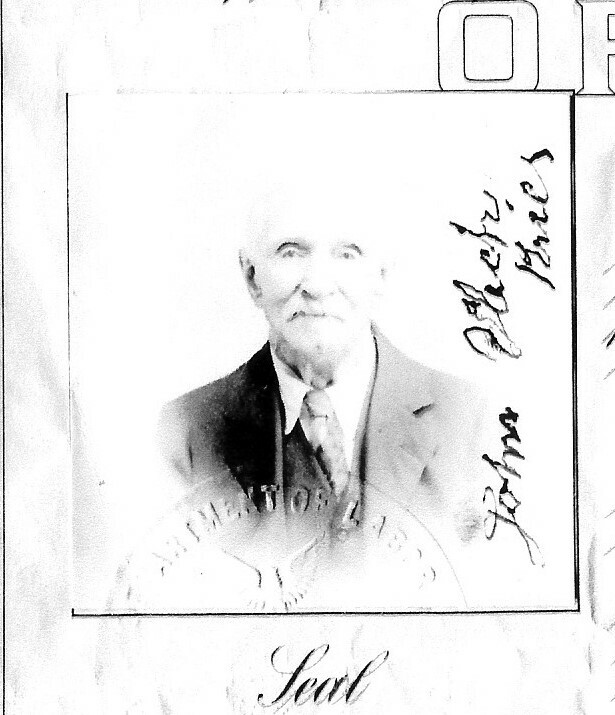 My great, great grandfather Johannes Ulrich Kreis, a.k.a. 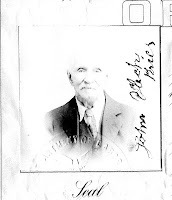 "John"
My great grandfather, Johannes Christian Heinrich Kreis, a.k.a. "Henry"
What I learned from this experience is to approach genealogical relationship-building with patience and an open heart. Keep trying because you never know what might happen! I hope someday to travel to New Jersey and invite J.D. to lunch.